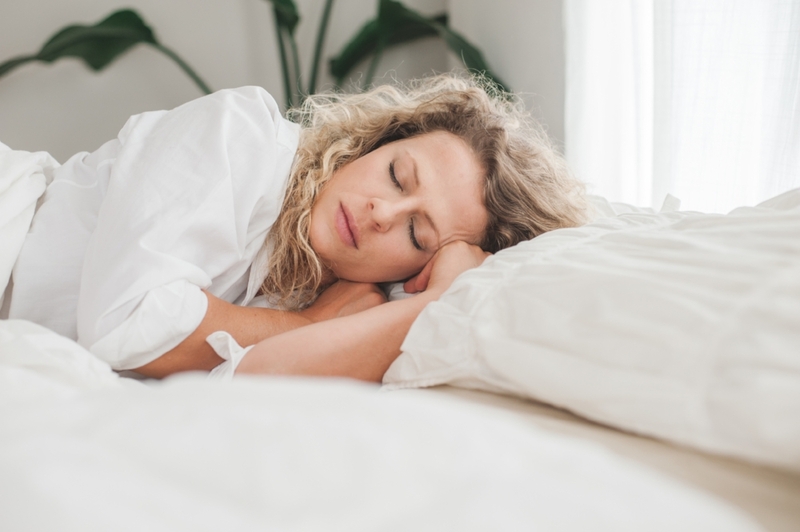 Getting a good night’s sleep can be elusive for many of us, and there are lots of things that can potentially disrupt your sleep patterns and make it hard to drift off into a natural sleep. Sleep hygiene can make a lot of difference, though, and introducing the right habits into your bedtime routine can help you to sleep better. The following tips can help you improve your sleep and say goodbye to sleepless nights! If your bedroom is quiet, dark and at a cool temperature, you’re a lot more likely to sleep well. It’s not always possible to get rid of distractions and interferences from outside, but earplugs, blackout shades, eye masks and good ventilation can all help to turn your room into the ideal environment for sleep. How you prepare for bed can make a lot of difference with how well you might sleep once you slip between the sheets. Having a bedtime routine that relaxes you and gets you in the right frame of mind for sleep is a big part of sleep hygiene. A relaxing bath can help and has the added bonus of regulating your body temperature. The rise in your body temperature followed by the subsequent fall afterwards, gets your body ready for sleep. Adding some Epsom salts to your bath is a great move because you get the additional benefits of magnesium, which promotes relaxation and even lowers inflammation that can interfere with sleep. Other good options include reading or doing relaxation exercises such as meditation or a special breathing routine. Light exercise such as yoga can also be beneficial but don’t do anything too strenuous so it can still have a relaxing effect. Something many don’t realize is that exposure to devices that emit blue light like televisions, cell phones, computer and tablets disrupts the production of melatonin (sleep hormone) that signals the body to sleep. Limit your exposure before bed and even incorporate the use of blue light-blocking glasses in the evenings when you are winding down, and your body is preparing for sleep. Exposure to artificial light during the evenings disrupts the natural sleep rhythms of the body. Turn the lights down as it gets closer to bedtime. Find yourself thinking about lots of different things in the night and struggling to sleep as a result? Try making to-do list for everything you need to do the next day so you can switch off more easily. On a similar note, keeping a regular schedule can also help with sleep. Going to bed at the same time every night and getting up at a set time in the morning gets your body’s internal clock on a regular routine. When you get up in the morning, open the curtains or go outside to get some exposure to light. This resets your body. It signals that it’s time to get up, and then later when there is no more sun, the body is signaled that it is time for sleep. Exercise can be a really important part of sleep hygiene and can help to improve your sleep patterns. According to some studies, it can also help you fall asleep faster. It can be easy to get it wrong, though, and work against you if you work out too close to bedtime. Anything that is physically stimulating can encourage your body to produce more of the stress hormone, cortisol. This only serves to make you more alert and awake so it’s definitely counterproductive at bedtime. As a general rule of thumb, try not to exercise in the three hours before bedtime so that your body’s cortisol production can go down. Or do it earlier in the day so you can get the effects with no negative issues for your sleep. You don’t necessarily need to do a lot of exercise to help with sleep hygiene - even 10 minutes of fairly intensive aerobic/cardio exercise is enough. Just be sure to time it right. Some foods can help to produce more melatonin and get you in the mood for a good night’s sleep. Small amounts of walnuts, almonds, cheese, turkey and even cherry juice can support good sleep. I recommend a small amount of carbohydrate with a little protein and fat for the best combination before bed. When you eat and how much you eat is just as important as what you eat. While a light snack before bed can be helpful for many, having a full meal too close to bedtime doesn’t give your digestive system much chance to slow down, especially if you’re eating foods that are fatty, spicy, fried or rich. Heartburn is also more likely with these kind of foods. Try to finish your last full meal at least a couple of hours before you go to bed. While everyone’s sleep needs are slightly different, most people need between 7-9 hours of sleep every night to function at their best. Younger people need up to 10 hours of sleep, and it’s a myth that you don’t need as much sleep as you age. We all need good quality sleep for optimal health. It’s actually a game changer. Don’t allow lack of sleep to undermine your health. Follow these tips for help! If you need more help, schedule a No Cost discovery call with me here to solve those elusive sleeping problems and get the best sleep of your life.